As an activist working on food justice, I have a very personal experience with systemic poverty, disenfranchisement, violence and Black land loss. Both my maternal and paternal grandparents owned land in the south, grew food, and experienced relative material success; then had their land either stolen or burned down by the state and racist vigilantes. Unfortunately, narratives like this are far too common among Black communities in America leaving many of us with memories of sharecropping, wage theft, violence, and lynchings. As I work to reconnect people of color with food production, I have come to realize how important it is to also remember the resistance and agency of Black farmers historically and present day. Dr. Monica White – through her work on Black farmers and liberation movements – taught me (or reminded me, because it was in my ancestral memory) that there is a very powerful relationship between African Americans and the land that must be remembered. The land is, was, and has always been our healing space and our means of liberation and resistance. Dr. White reminds us that many organizations such as the Federation of Southern Cooperatives have fought— and continue to fight— to protect that memory and legacy of self- determination. As millions of low-income communities and communities of color struggle to access quality food, organizations like the Detroit Black Community Food Security Network (DBCFSN) are working to build food security while simultaneously reclaiming a sense of agency and self-determination in the food system among African descendants. Here, we talk with Dr. White, board president of DBCFSN and professor at University of Wisconsin-Madison as she describes her research and upcoming new work “Freedom Farmers: Agricultural Resistance and the Black Freedom Movement, 1880-2010,” which contextualizes contemporary urban agriculture within the historical legacies of African American farmers who fought to acquire and stay on the land. Considering the significant legacy of Black farming and community responses to massive historical inequities, in this time of deepening disparities we can turn to Black farming and cooperative organizations for insight. Dara Cooper: Tell me a little about your research. Dr. Monica White: There are two major directions of my current research. One direction is informed by the work of members of the Detroit Black Community Food Security Network examining contemporary urban growers who are developing community-based food systems that increase access to affordable, healthy, sustainably grown food. In the process, DBCFSN members are re-building the city and reconnecting communities to economic, social, cultural and political benefits of agriculture that uses community gardens and cooperative, economic-decision making models. These efforts are especially important given the economic crisis of the city and the need for communities to demonstrate agency through their participation in the food system. The other direction of my research is my first, single-authored book, Freedom Farmers: Agricultural Resistance and the Black Freedom Movement, which examines the development of agricultural cooperatives as strategies of resistance, and documents the ways that these organizations, in specifically, and Black farmers in general, have contributed to the Civil Rights/ Black Freedom Movement. This work offers an alternative perspective of the relationship between race and farming and the historical legacies of African American farmers who fought to acquire and stay on the land. DC: One of the things I love most about your work is how infectious your excitement and passion is. What prompted you to study the legacy of African American farmers? Do you have any personal connections to this work? MW: My connection to this work is multi-layered. Because of my own family history with growing food, I wanted to provide scholarship that presented a different perspective, a new way to celebrate the history of agriculture and one that presents the work of Black farmers who were proud, loved their work, and celebrated the connection between land, food and freedom. Because of my understanding of Detroit’s complex racial, political and economic history, I wanted to present Detroiters as demonstrating agency and their work with urban agriculture as being connected to a legacy and history of resistance. Because of my scholarship on social movements, I also wanted to explain the political nature of growing food, one that would offer an alternative to scholarship on Black farmers, and that moves from a concentration on slavery, sharecropping, tenant farming and land loss. I needed to create a space where we could discuss the historical contributions of Black farmers in a way that challenges the negative conceptions but offered a way to celebrate and embrace our deep, rich agricultural history. DC: Where do you find inspiration? MW: I am inspired by the hard work done by people who are engaged in transforming communities and changing their relationship to food and the food system. I am inspired by the history and legacy of those who saw the relationship between land, food and freedom and those who fought for the right to grow food. I am inspired by those who create alternative strategies of resistance and who fight everyday for healthy families and healthy communities. I am inspired by those who were deeply rooted in the soil and committed to building community. I am inspired by those who work hard everyday, growing, planting, harvesting healthy food. And lastly, I am inspired by those who identify alternative routes of resistance. DC: What have you found from your research that you wish everyone working on social justice and food would know or understand? MW: As I struggled to offer a historical context for the work of Black farmers in Detroit who identify their work as deeply political and liberatory, previous scholarship failed to offer both theoretical and practical frameworks for understanding this work. Listening to those in the food movement in Detroit, I was introduced to the idea that resistance has many faces and must be interpreted from the perspective of those who are actively fighting against systems of oppression. While we have become accustomed to understanding social movement resistance and change in the forms of marches, protests and boycotts, there are many ways that people resist. Growing food as a part of community resilience, organizing cooperatives as resistance are just a few of the many ways that people are working together to change lives. DC: The Federation of Southern Cooperatives is one of the organizations you interviewed. I recently saw an appeal from Danny Glover to garner support for the Federation. What’s going on and why should we care? Over the past several decades there has been a precipitous drop in the amount of land owned by African Americans. The sequestration along with other budget cuts have largely decimated the already stretched budgets of organizations that were designed and instituted to help with small and underrepresented farmers, especially in the south. These economic hardships are impacting the organizations and their constituencies. They are fighting to provide resources to these farmers and their families and keep the organization’s doors open. If there is to be another generation of Black farmers, we must be able and willing to support the organizations that have been actively involved in helping those who are in the greatest need of assistance. The Federation has an impressive record of offering this kind of assistance to those who are in the greatest need. There are a few ways that we can help. One way is that our communities can contribute to fundraising efforts and support the work of the Federation, either through direct donations to the organization or hosting fund drives for the Federation. We may also consider joining their listserv by sending an email. Finally, I would encourage those who are interested and able, to attend their annual conference and experience the decades of self determination, wisdom, insight and legacy of hundreds of Black farmers and supporters at their award dinner in Birmingham, AL and annual gathering in Epes, Alabama. Monica M. White earned a Ph.D. from Western Michigan University in Sociology. She is an assistant professor of Environmental Justice at the University of Wisconsin-Madison with a joint appointment in the Gaylord Nelson Institute for Environmental Studies and the Department of Community and Environmental Sociology and is a former Chancellor’s Postdoctoral Fellow in the Department of African American Studies at the University of Illinois-Urbana Champaign. Her research engages communities of color and grassroots organizations that are involved in the development of sustainable community food systems as a strategy to respond to issues of hunger and food inaccessibility. Her publications include, “Sisters of the Soil: Urban Gardening as Resistance Among Black Women in Detroit” and “D-Town Farm: African American Resistance to Food Insecurity and the Transformation of Detroit.” She is currently working on her first book, “Freedom Farmers: Agricultural Resistance and the Black Freedom Movement, 1880-2010,” which contextualizes new forms of contemporary urban agriculture within the historical legacies of African American farmers who fought to acquire and stay on the land. 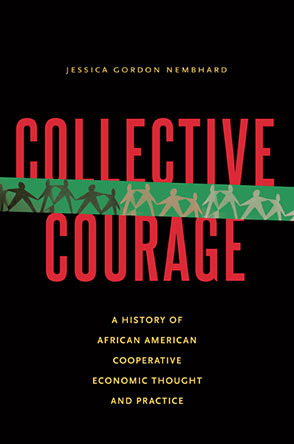 Using historical and contemporary examples, Freedom Farmers examines the development of farmers’ cooperatives as strategies of resistance, and documents the ways that these organizations, in general, and Black farmers specifically, have contributed to the Black Freedom Movement. As a result of her scholarship and community work, Dr. White has received several grants including a multi-year, multi-million dollar USDA research grant to study food insecurity in Michigan. She has also received several awards including the 2013 Olsen Award for distinguished service to the practice of Sociology from the Michigan Sociological Association and the Michigan Campus Compact Faculty/Staff Community Service-Learning Award. She was appointed to the Food Justice Task Force sponsored by the Institute for Agricultural Trade Policy (IATP), maintains a highly ranked and reviewed blog (soil2soul) and is highly sought after and has presented her work at many national and international community organizations, colleges and universities.